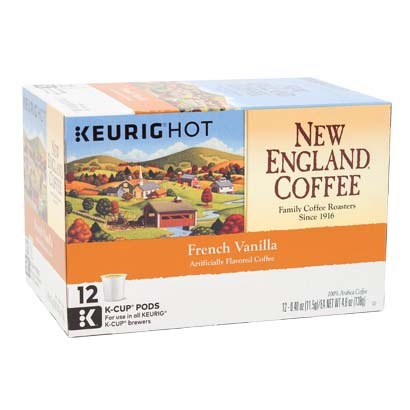 A New England Coffee favorite, our signature coffee blend is mixed with smooth and sweet French Vanilla to delight all flavor lovers. delicious flavor and smooth! Also great packaging more eco friendly. If you like French Vanilla you will love this product. I’m traditionally a tea drinker. i was given this box of coffee and I’m hooked. i have a cup each morning.